Learn to create dynamic accompaniment parts in any setting with this ultimate guide for any guitarist who wants to go beyond playing the same patterns in song after song. Author Jeffrey Pepper Rodgers shares the secrets of effective accompaniment in any style. Through 20 easy-to-follow lessons, you'll learn to: deepen your grooves, discover new chord shapes and picking styles; explore alternate tunings and partial capos; and more. 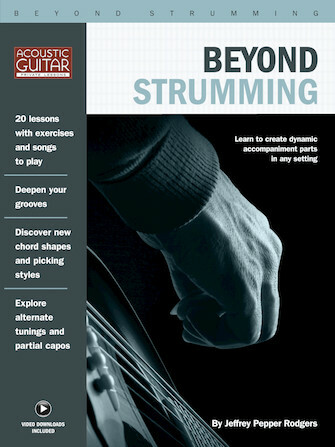 With this book and its downloadable video files, you will expand your toolkit and develop fresh and varied guitar parts to make songs shine!